The Sikkim Fire & Emergency Service was established as a small Fire Emergency response unit in the State capital, Gangtok in the year 1977. The unit was formed with a manpower of twelve (12) personnel of all ranks with one fire tender. The unit made its importance felt over the years and currently it has established itself as Directorate of Fire and Emergency Services, an indispensable entity of Sikkim Police. The Sikkim Fire & Emergency Service headquarter is located along the NH-10 near STNM hospital, Gangtok. The supreme commander of the directorate is the Director, Fire & Emergency Service who is an IPS officer of the rank of Inspector General or Additional Director General of Police. The Director, Fire & ES reports to the Director General of Police, who is the head of the entire Police force in the state. 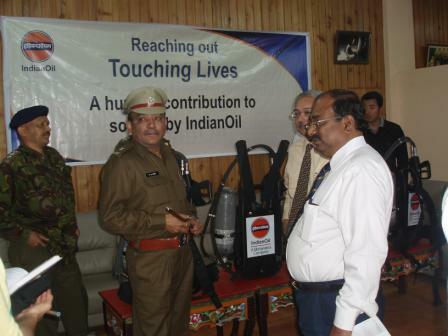 The Director of Fire & ES is assisted by Chief Fire Officer (CFO), who is an officer of the rank of Superintendent of Police. The CFO is assisted by four Deputy Chief Fire Officers (Dy. CFO). The four Dy. CFOs are the in-charge of the districts. 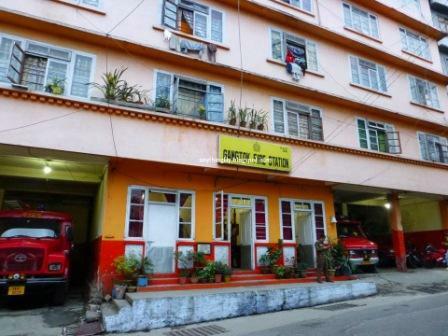 Since its creation as a 12 personnel manned unit in Gangtok, the Sikkim Fire & Emergency Service has grown wide and has been extending excellent public service with eight (08) more fire stations established in Singtam, Rangpo, Pakyong, Jorethang, Ravangla, Namchi, Gyalshing and Mangan. Sikkim Fire & Emergency Service is equipped with twenty one (21) fire tenders distributed across the existing 09 fire stations. The unit has never looked back in the process of upgradation and establishment of two (02) new fire stations are under way at Rhenock in East district and Chungthang in the North district. Notice: In case of emergencies, dial Sikkim Fire Control Room Gangtok at 101 / 03592-202001 or nearest Fire Stations.